If you are thinking about switching medical aids, you will need to re-evaluate your needs very carefully. Paying less on your monthly premium will mean than you will be getting less cover. There are certain questions you can ask yourself, and points to consider, before switching medical aids. What exactly are you presently paying for? A lot of people are not aware of what they pay each month, nor for what they’re covered. Over time, a benefit you might once have thought important, may not be necessary anymore. if you’re middle-aged or older, what are your future needs likely to be as far as medication and/or hospitalisation is concerned? Medical Schemes may appoint designated service providers or DSPs for you to use. Are you prepared to have to make use of specific network doctors, specialists and hospitals? Medical Aid schemes often, depending on your option, assign specific doctors and hospitals to you. If you want to therefore see a doctor of your own choice, it is likely you will have to pay the whole consultation yourself. The same applies to hospitals, so check to see if the hospital closest to you is part of the network. Consider your health, and that of your family. Do you suffer from various allergies? Are you often ill? Small energetic children running about, will often fall,with cuts, bruises and fractures that will require medical attention. What is your medical history? 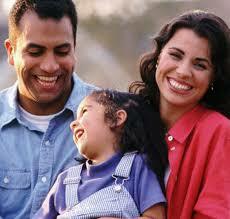 A lot of illnesses are hereditary and run in families. If either of your parents for example, suffered from hypertension or diabetes, there is a strong possibility that either you or a dependant will eventually succumb. What can you afford? This is often a difficult one, as good cover is very expensive. Perhaps if you feel your needs are likely to be excessive, prioritise and spend more on your medical aid, cutting back somewhere else. Are you going to need 100%, 200%, or 300% cover for specialists? Often specialists are not contracted in to a medical aid, and can charge up to 300% more than the Medical Scheme rates. An option to consider here, is to keep to the lower option of 100% scheme rate, and then take out relatively cheap Gap Cover to pay for the shortfall. Do you need long-term chronic medication? How much day-to-day cover do you need? If you have children, you will need more, the young and healthy might only need a hospital plan. And then you need to consider the actual Medical Aid itself. Has it got a good service record? What do other people say? If it’s new, is it not going to go out of business in a year or two? Sometimes, if all the options and decisions seem overwhelming, find a medical aid broker, who can professionally evaluate the needs of your family and help you make the right choice. Waiting periods must also be taken into consideration as they are generally enforced when you change medical aids and have been off one for more than 30 days. There are two types of waiting periods – a general waiting period of up to 3 months and a condition-related waiting period of up to 12 months. Waiting periods are a design of the Medical Schemes Act to prevent a person scheme-hopping too frequently. Most Medical Aids require written notice of between 1 and 3 months, of your intention to resign from the scheme. Don’t rush into a Medical Aid just because it’s cheaper. Think carefully!